mentor – Teach. Empower. Transform. 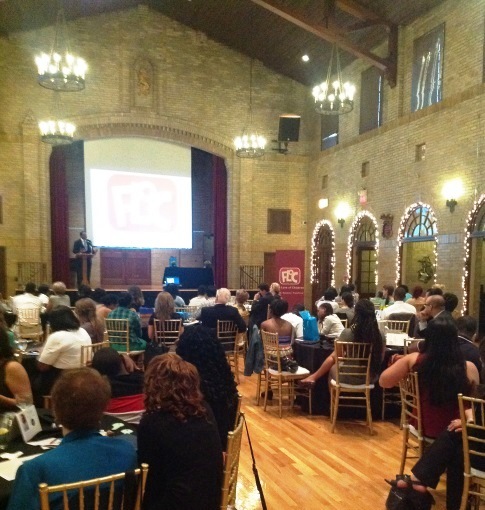 On June 13th, FLOC held its annual Fred Taylor Scholarship Dinner at St. Francis Monastery to honor and celebrate our graduating seniors from both high school and postsecondary. Students, families, postsecondary coaches, board members and FLOC alumni filled the room to recognize our students’ hard work and highlight their achievements. 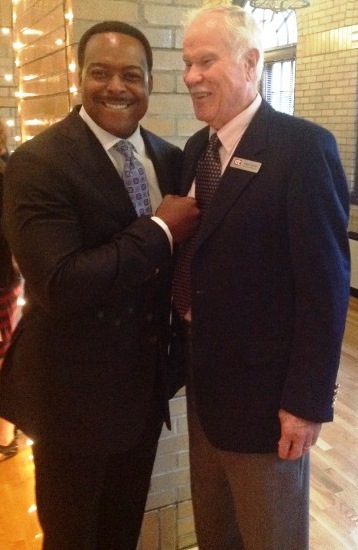 Award-winning journalist, Leon Harris and Fred Taylor, FLOC founding director. After dinner, Leon Harris, award-winning journalist and ABC News anchor, inspired our students to find their passion by exploring new interests and being prepared when an opportunity arises. He encouraged students to soak up all that college has to offer and never let anyone tell them what they cannot do. Believe in yourself and you will succeed! 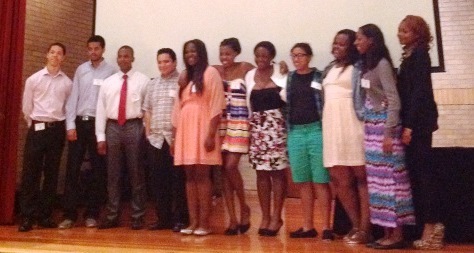 FLOC high school graduating seniors celebrate the start of their new postsecondary journey. To close the evening, the audience provided “keys to success” for our graduates as they transition to college and beyond. Students were advised to meet new people, study abroad, budget, stay in touch, find a mentor and build a community similar to home. We are so proud of our seniors and wish them the best of luck! Go on and do great things and know that FLOC is always there for you. 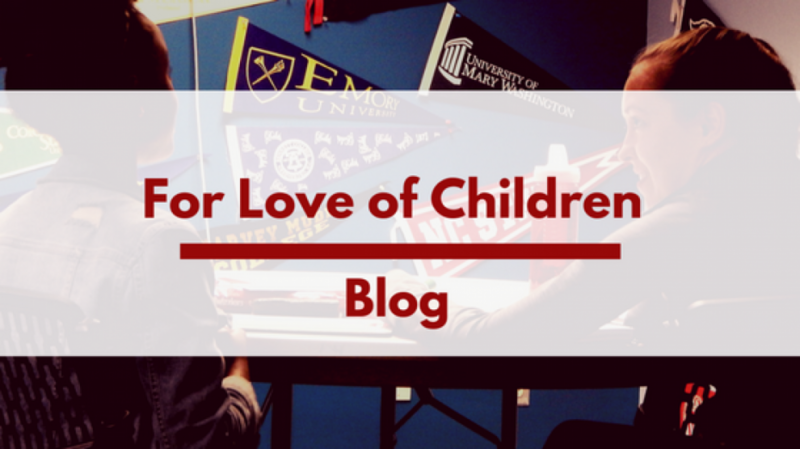 (Kimberly Davis is the Scholars College Access Coordinator at FLOC).